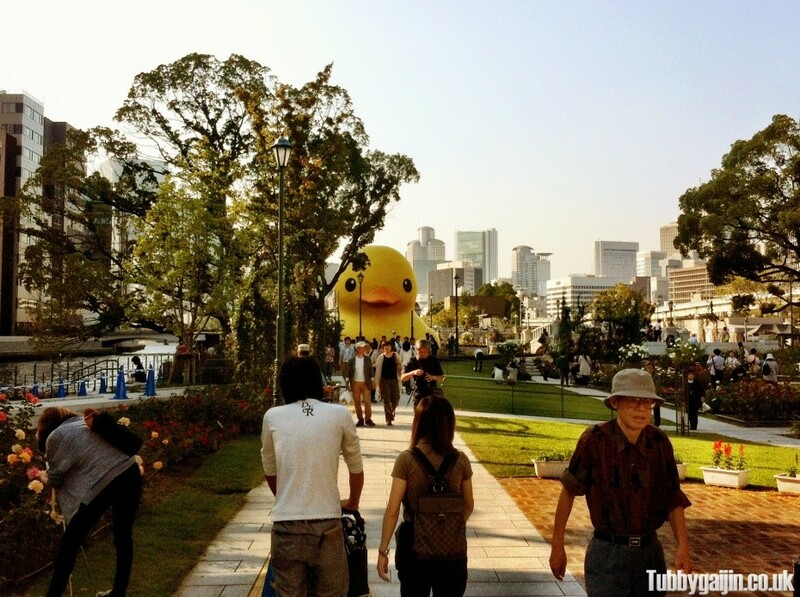 As part of the Aqua Metropolis Osaka 2012 Festival, the 10m tall rubber duck made his return to the waterways of Osaka over the past week. I had no idea the duck was returning to Osaka, and had to double-take when I caught a glimpse of it from the window of Kitahama Retro tea-room. 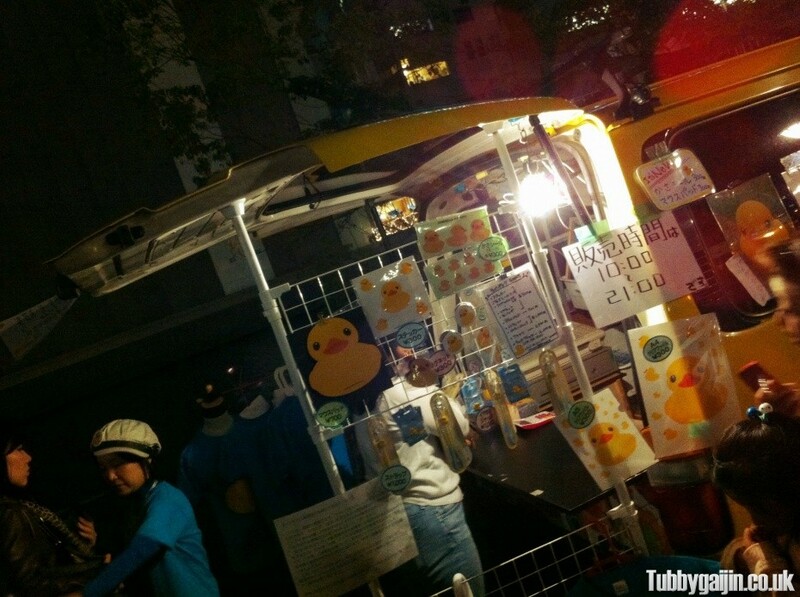 This time, the duck decided to hang out by Nakanoshima Park(a waterfront park set between the Dojimagawa and Tosaborigawa rivers) – he attracted quite a crowd! All sorts of souvenirs were available from a van nearby, umbrella’s, t-shirts, phone straps… best of all though, rubber ducks! I couldn’t resist getting one to bring home with me. 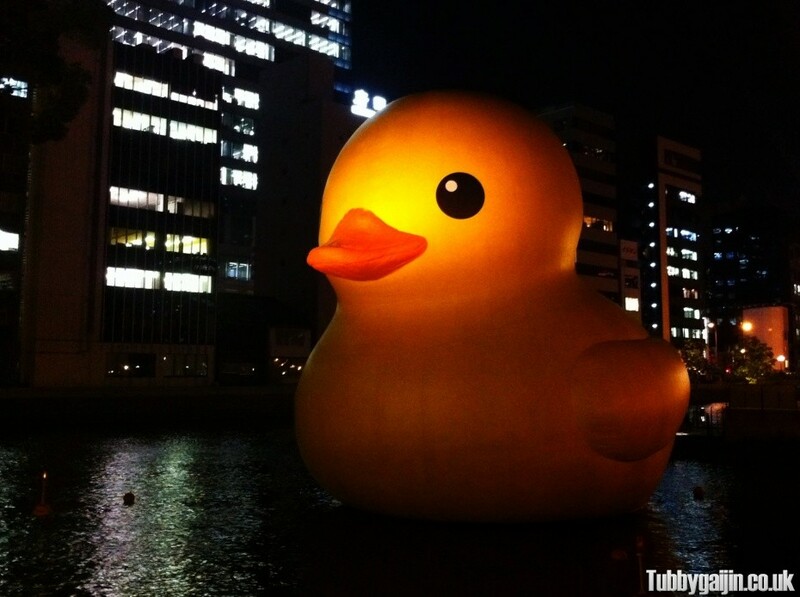 It was great to see the giant duck, I’d hoped it’d return to Osaka during my time here! Check out http://www.florentijnhofman.nl for more of Florentijn Hofman’s projects around the world! 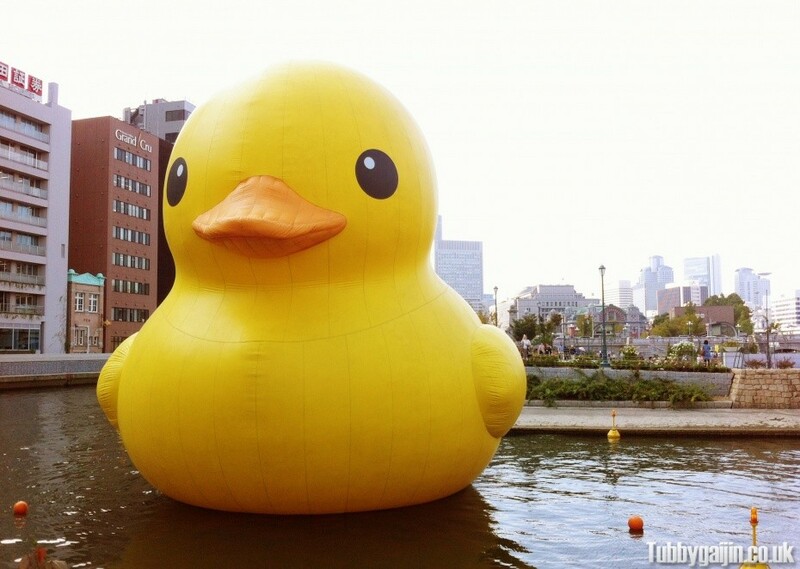 I just saw the duck in Sydney Darling Harbour today and it was amazing to see something so big and cute at the same time! 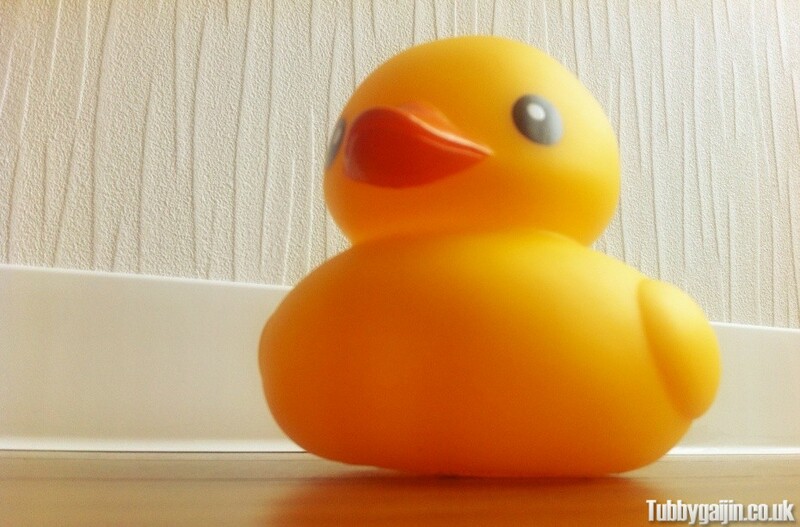 Where can I buy the smaller versions of the rubber ducks? 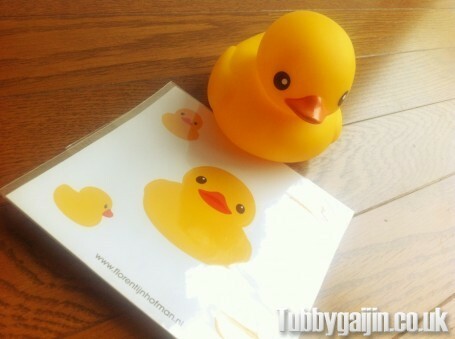 I got my mini rubber duck from an official stall right next to where they put giant duck here in Osaka, hope you find one!